For many content creators, the main draw of YouTube is the ability to monetize your channel. Unlike other social media platforms, you can make money directly through ad revenue by posting videos. However, in order to be eligible, your channel must meet a set of very specific, recently updated criteria. 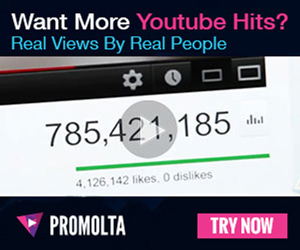 Your channel must have 1,000 subscribers and 4,000 hours of watch time. No many how many views you have, unless your channel has at least a thousand subscribers, it is not eligible for monetization. After YouTube’s recent clean out of spam subscribers, many growing channels risked having to reapply for monetization. However, having a thousand subscribers isn’t enough. Your channel must also have at least four thousand hours of watch time in the past twelve months. This means that, within the past year, viewers must have watched four thousand hours’ worth of your content. Though these criteria may seem strict, they’re important because they keep people from cheating the system and make sure there’s more money for hardworking creators like you. To turn more viewers into subscribers, engage with your audience a lot. If you have a video that went viral or if you keep getting more views than you have subscribers, it’s time to jump into action. To turn your new viewers into subscribers, engage with them! Reply to as many video comments as you can. If someone tweets you or leaves a nice comment on your Instagram post, leave a like or a reply. Think about how you’d like your favorite creators or celebrities to interact with you. How can you make your viewers feel like friends? How can you show them you want them to be a part of your community? Upload longer videos more frequently to improve your watch time score. Because your monetization eligibility is based on watch time from the past twelve months, you should focus on uploading longer content in the future. The longer your videos are, the better your watch time score will be. However, if they’re too long, your viewers may not stick around for the entire time. Experiment with different video lengths to see how long your viewers are willing to watch. You can also gain more watch time by uploading more frequently. Even increasing your uploads by one extra video a week can help. To make sure your viewers will watch more videos, create more videos based on viewer requests. Turn their favorite videos into series, or find new ways to reinvent video ideas they particularly liked. Make sure your content follows YouTube’s policies and terms of service. Lately, YouTube seems to be demonitizing videos left and right. Several prominent creators, such as Mykie from Glam & Gore, have struggled with having their content demonitized even when it doesn’t break any of YouTube’s policies. To protect your channel’s monetization, make sure your videos follow YouTube’s policies and terms of service. In general, keep things PG. Avoid heavy swearing and controversial or mature topics. You’ll have to apply for monetization. Channel monetization is not automatic. You have to apply. Find the resources you’ll need here. First, you’ll need to accept the terms of the YouTube Partner Program. Then, you can request AdSense and set your monetization preferences. After you meet the previously mentioned qualifications, your account will be reviewed. This review happens automatically to make sure your channel follows Community Guidelines. Finally, once your channel is approved, you can start monetizing your videos.